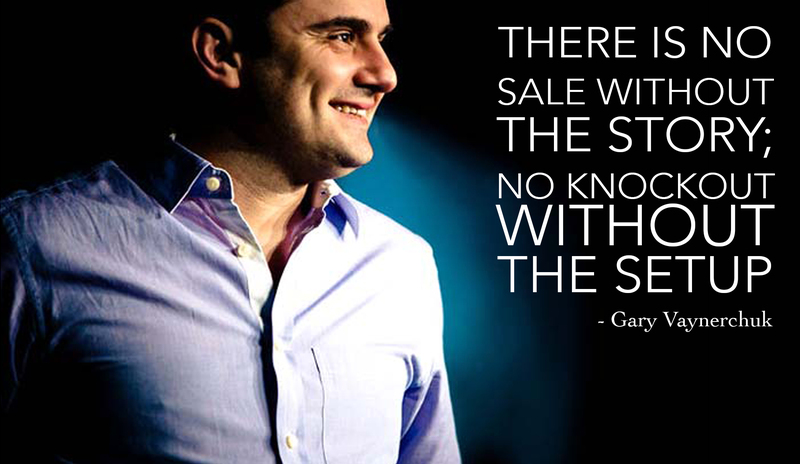 Just in case you are not familiar with entrepreneur Gary Vaynerchuk, he is an owner of VaynerMedia. This company works closely with Fortune 500 companies to develop digital and social media strategies and content. He is also on the best seller list for his book: Jab,Jab,Jab, Right Hook. So Gary knows a thing or two about advancing social media. This quote from Gary is genius! People are intriguing and want to know what you are about. They want to trust you and know your story. This helps build a relationship with your clients or customers on another level than just providing a service or product to them. You can carry a special conversation and encourage engagement with people. This engagement will help audiences be entertained and more involved in what you are doing. Without this respect and trust you have no sales, without sales your business will fail. Everyone is fighting to be heard in this noisy social media world, and sometimes you just get knocked out. But the key is to get back up and keep on telling your story.